SeaWorld is closing the curtain on killer whale shows at its San Diego park next year. The company said Monday it plans to reinvent the attraction that's been the center of animal-cruelty claims against SeaWorld (SEAS). Shows at the San Diego park will stop by the end of 2016, said CEO Joel Manby, while a "new orca experience" will debut in 2017 with a "strong conservation message." Manby said that customers in Southern California don't want to see the whales performing tricks and prefer a more "natural" experience. San Diego's SeaWorld may also scrap plans for a massive expansion of its killer whale environment. Manby cited concerns that pending regulations could hamper those plans. "I'm not willing to put $100 million into a market when there's regulatory questions," Manby said. 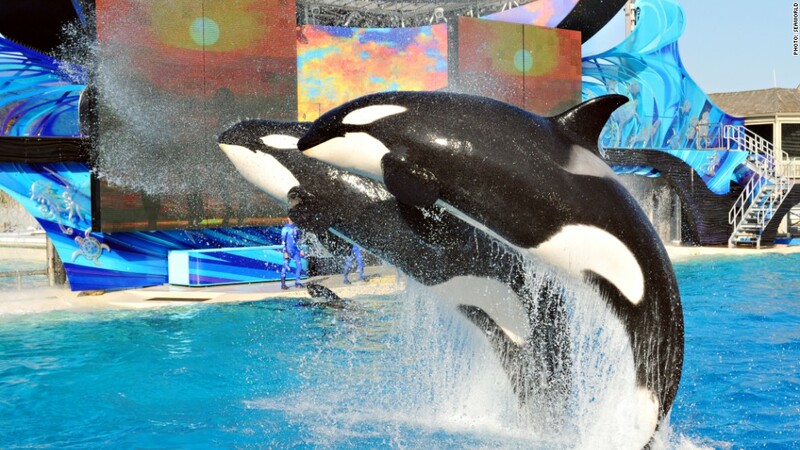 Theatrical killer whale shows will continue at other SeaWorld parks. An earnings update last week left investors worried about the company's outlook. In the six days since then, its shares have plunged more than 10%. SeaWorld's reputation was badly damaged in part by "Blackfish," a 2013 documentary co-produced by CNNFilms. The film generated criticism from lawmakers and advocacy groups like PETA. Attendance at SeaWorld's theme parks has waned, and its San Diego park has been particularly troublesome. To help its boost the company's image, Manby also said the company will "aggressively communicate" its animal care and rescue efforts. SeaWorld is also planning new attractions and changes to its pricing. Correction: An earlier version of this story incorrectly reported details of SeaWorld's pricing changes.